Infrared transceivers are mounted to the ceilings. They cover a range of about 12×12 square meters of rack space. On account of their confined signal, they allow the physical tracking from room to room. The IR light is reflected from the walls and reaches also those CageTalkers® , which are not in the line of sight. The IR tranceivers are connected within a range of 100 meters with CAT5 or CAT6 cables to the base stations, which are integrated in the intranet. 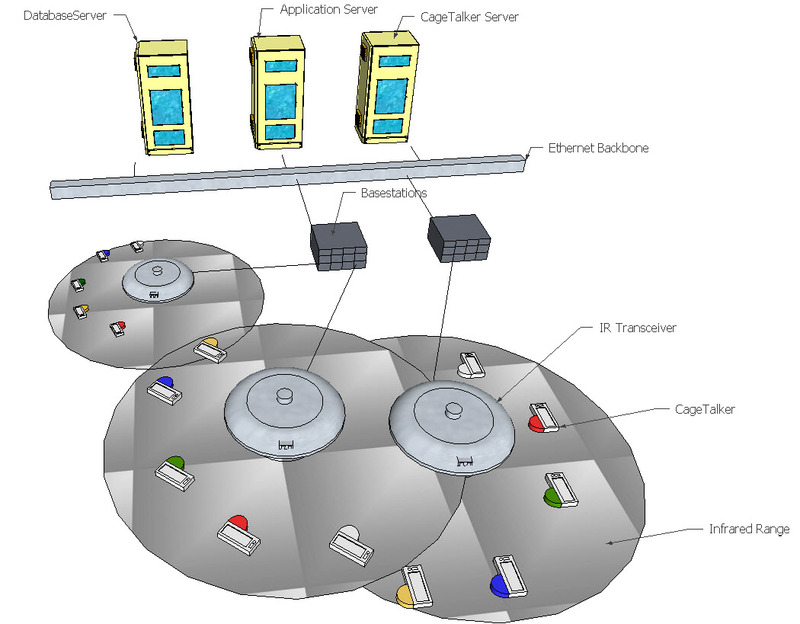 They do not need any extra power supply (PoE).The CageTalkers® server permanently controls the status of each CageTalker on location, update, and battery status. 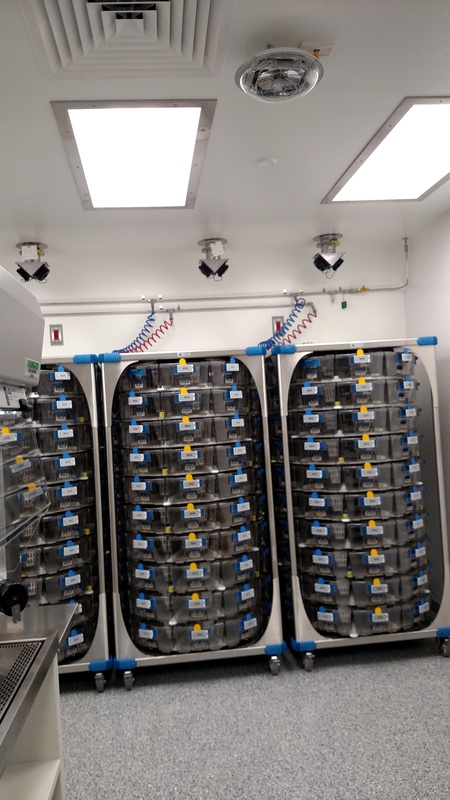 The confined infrared signal tracks cages from room to room. We chose Infra-Red as communication media, because there is no doubt about congestion. There is not reflection by metal objects and because it is a confined signal. Infrared light allows confined signals to track cages from room to room. No limitations on number of CageTalkers® per transceiver or base station. Short reaction time of CageTalkers® due to invisible and soft Infrared light broadcast . Central server to administrate all CageTalkers® from one location. Have you ever thought of a permanent automatic census ? Can you imagine the paperless animal room with all information at the cage ?